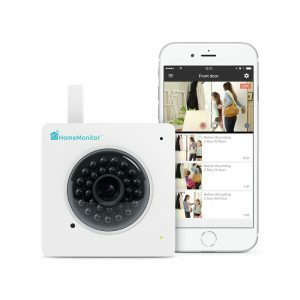 Quick and easy to setup HD security cameras, Y-cam Evo/Outdoor HD Pro lets you see and hear what's happening at your home or business from anywhere using your smartphone or tablet. It’s perfect for watching entrances, pets and minding your loved ones anytime of the day or night. Y-cam Evo/Outdoor HD Pro instantly alerts you when motion is detected. Watch live or review your last 7 days’ of recordings which are securely stored in your cloud account, safe from theft. Unlike other cloud cameras, storage is FREE. Add as many indoor and outdoor cameras as you like and manage them from one account. Save the clips that matter. Every movement detected during the last 7 days is recorded and stored in your secure online account, ready to view free of charge, no monthly fees. Easy step by step set up. Just download the Y-cam app, plug in the power cable (+ network cable to your main router for Outdoor HD Pro) and set it up from your iOS or Android smartphone. No technical skills necessary. See what happens when you are not there. Y-cam detects and notifies your smartphone instantly when motion is detected in your home. Set up your motion recording zone on areas such as doorways and windows; to ensure you're only alerted when it matters. Monitor your property from anywhere and at any time on your smartphone using free iOS or Android app. Download our FREE apps from the iOS App Store or Google Play. 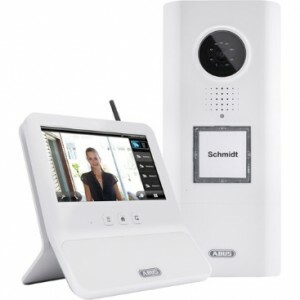 View your recorded videos and stream live from anywhere at any time, as long as you are connected to the internet. 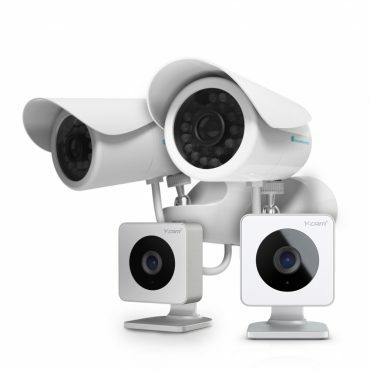 Y-cam only records when something happens so it doesn’t need to constantly battle for the internet with other connected mobile devices in your home. Enjoy minimal impact on your surfing and download speeds and stay within your data allowance. Capture that moment; record what you want, when you want at the touch of a button. Just hit record when watching live to capture a moment in time up to five minutes long. Monitor multiple locations directly from your smartphone, adding as many cameras to your account as necessary. The Outdoor HD Pro, is weatherproof to IP66 international standards and is perfect for monitoring of outdoor sites, such as driveways and gardens to complete your home security system. 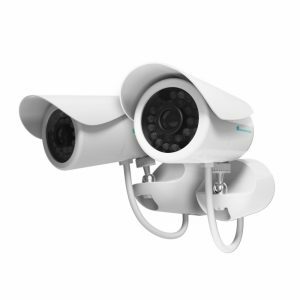 The Y-cam Evo has a high powered infrared LED that comes on automatically at night time to deliver clear night vision for 24-hour surveillance. Experience crisp images in total darkness up to 8m away. The Outdoor HD Pro has powerful infrared LEDs that deliver clear night vision in total darkness up to 15m away. On-board SmartBuffer technology uses the camera's internal memory to record the moments leading up to the event, giving you the whole story. Download motion activated videos directly to your smartphone from your Y-cam account. Save and send as many videos as you like from the last 7 days.